When Palestinian leader Mahmoud Abbas arrived in New York to petition that the United Nations grant the Palestinians full statehood and a seat at the U.N. he was filled with confidence that the Middle East majority would grant his wish. Instead he was met with a message from the "Quartet" - the United States, the European Union, Russia and the UN. He was asked in no uncertain terms to return to the peace talks with Israel or there would be no statehood. This is an issue of great importance to all of us. 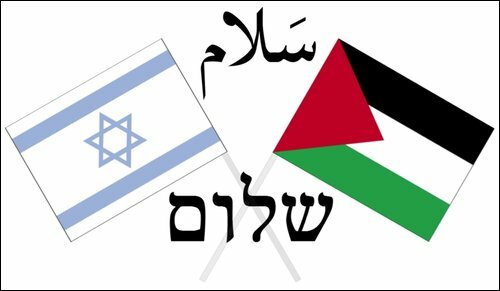 At age 65, I don't have too many memories of there ever been peace between Israel and the Arab nations of the Middle East. This past year we experienced what became known as "The Arab Spring" and we have yet to learn its true significance or ascertain what the eventual consequences of that violence will be. For now, we take a deep breath and pray that the Palestinians return to the peace talks, and that Israel will not to have to go to a full war once again to protect her borders from her enemies' deadly assault. We present a vivid account of what transpired at the U.N. written by correspondent Leo Rennert, writing for the American Thinker. What would Abbas have to do if the Quartet were to succeed in dragging him to the negotiating table? Within three months, he would have to show his opening cards, presumably a repeat of his uncompromising address to the UN General Assembly -- a Palestinian state in all of Gaza, all of the West Bank and all of East Jerusalem, including Jerusalem's Old City with the Western Wall, Judaism's holiest site. On security for Israel, Abbas -- judging again by his harsh UN speech -- would provide essentially nothing. He certainly wouldn't dare demilitarize Hamas-ruled Gaza with its thousands of rocket and mortar shells aimed at Israel. For his part, Netanyahu presumably would give the Palestinians all of Gaza -- please keep it -- but very little if anything of East Jerusalem and about 90 percent of the West Bank, with Israel keeping Ariel, and close-in major settlement blocs like Gush Etzion and Maale Adumim. Bibi's stance would be less generous than Ehud Barak's in 2000-01 and Ehud Olmert's in 2008. But those initiatives were rejected by the Palestinian leadership and history rarely repeats itself. When it comes to security, the positions of the two parties would be even more divergent because Netanyahu already is on record as demanding a demilitarized Palestinian state and an Israeli military presence along the Jordan Valley -- provisions certain to be rejected by Abbas. The Quartet's script then gets even more interesting when it comes to attempts to narrow these gaps. Netanyahu might inch toward a compromise with slight changes on his map and with modifications of security arrangements. But Abbas has no room for any flexibility. His intransigent UN speech made that amply clear. And with Hamas looking over his shoulder and threatening sharp reprisals if he dares show an inch of flexibility, Abbas is not about to stick his neck out and invite a Palestinian civil war.